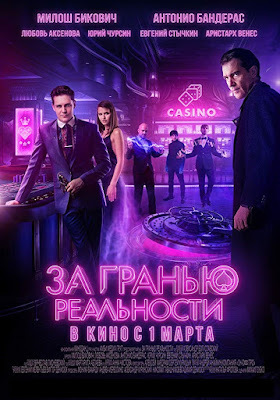 In the following few weeks your trusted spy will present you a couple of new TV and movie projects that are arriving next month. 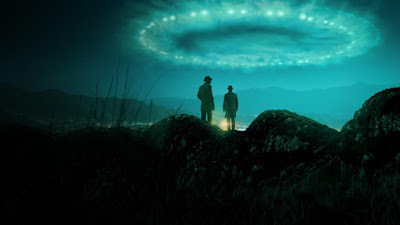 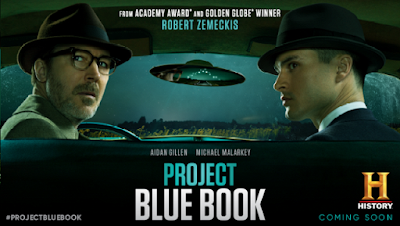 From January 8th at History Channel starts a new science fiction period set series PROJECT BLUE BOOK based on the true, top-secret investigations into Unidentified Flying Objects (UFOs) and related phenomena conducted by the United States Air Force from 1952 to 1969. 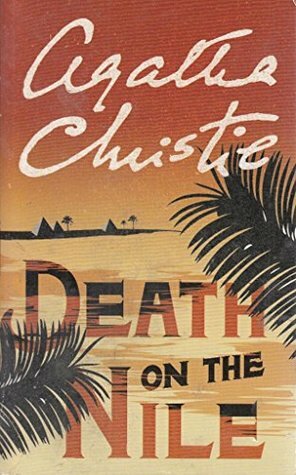 BBC TO ADAPT AGATHA CHRISTIE'S ANCIENT EGYPT SET MYSTERY DEATH COMES AS THE END INTO EPIC MINI TV SERIES NEXT! 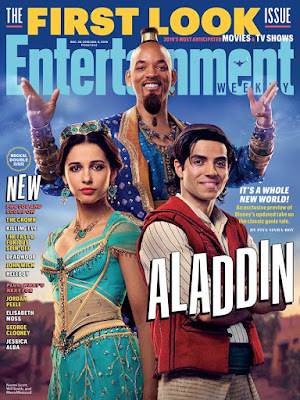 The book has no European characters! 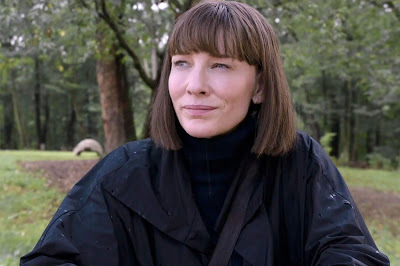 which of her stories will be made into mini series next year? 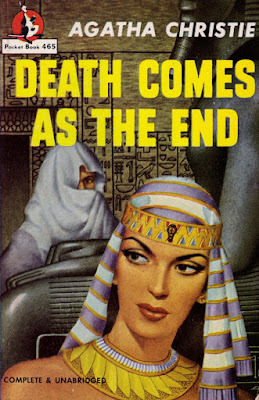 DEATH COMES AS THE END is next, the only of her books that isn't set in the 20th century but in Ancient Egypt! 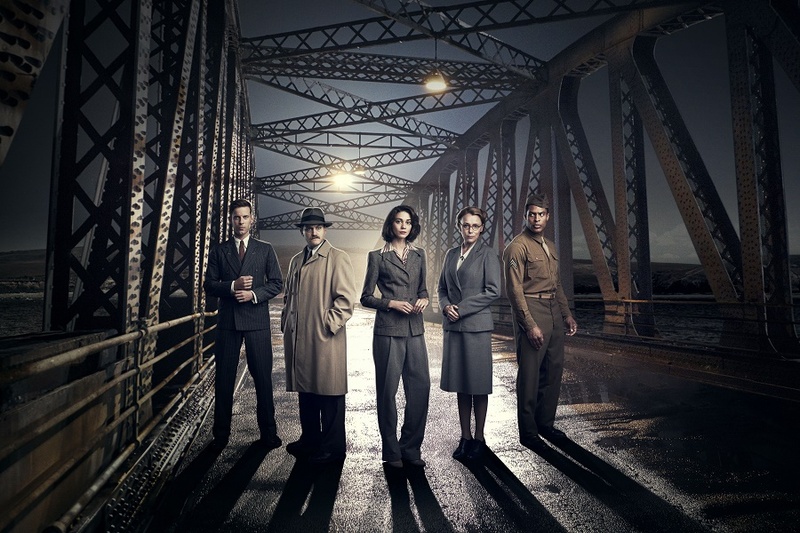 The good news is that the three part series won't be written by Sarah Phelps (who pretty much ruined three previous ones, Ordeal by Innocence, Witness for the Prosecution and ABC). 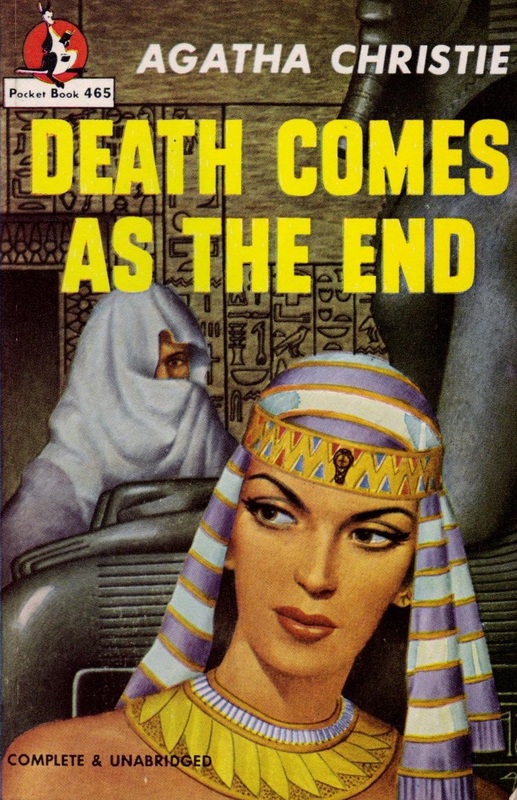 Gwyneth Hughes will write the new one (not that her Vanity Fair gig for ITV was any better). Don't forget that over in Hollywood, Kenneth Branagh, after bringing Murder on the Orient Express two years ago to the big screens with huge cinematic success, will direct DEATH ON THE NILE adaptation with Gal Gadot and Armie Hammer in which Branagh will again play Hercule Poirot investigating a murder during a luxurious cruise on the Nile River that he just happens to be on. 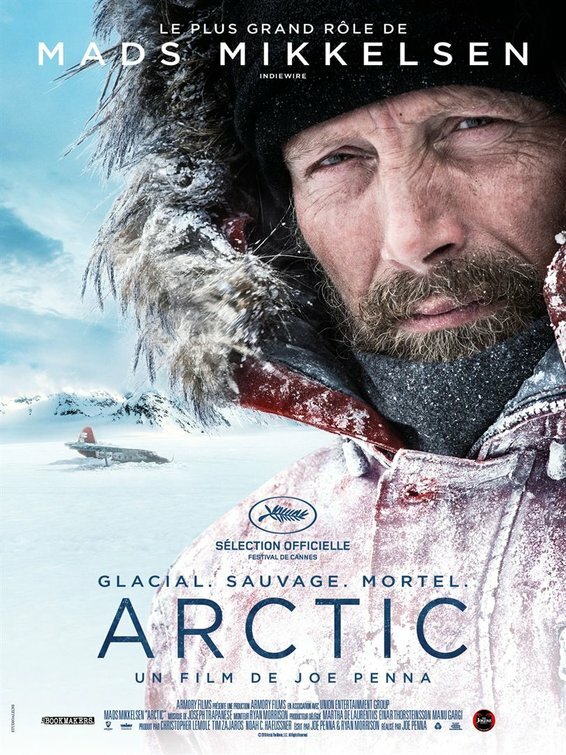 man who, after getting stranded in the Arctic due to an airplane crash, must decide whether to remain in the relative safety of his makeshift camp or to embark on a deadly trek through the unknown in hopes of making it out alive. The movie premiered this year at Cannes Film Festival with ten minute standing ovations and then run a circle at other movie festivals around the world. It will open in Northern America in February and then the same month and during March in major European theatrical markets. The movie was directed by Joe Penna. WILD WEST, BUT IN JAVA?!? 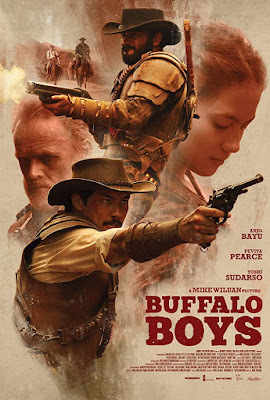 You can also check out a very dynamic trailer for Indonesian western movie (I'm not kidding) BUFFALO BOYS which also had its run at some of the movie festivals albeit the more obscure ones. 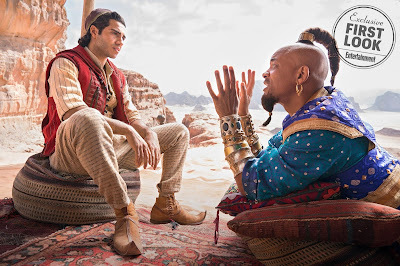 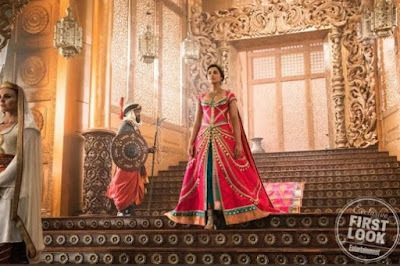 The story of the movie revolves around two brothers named Jamar and Suwo who came back to the land of Java to avenge their father, who was a Sultan, after years of exile in America. 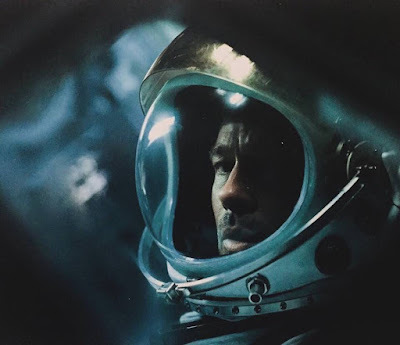 Singapore's official submission for the 'Best Foreign Language Film' category of the 91st Academy Awards in 2019 is Mike Wiluan's directorial debut! DELIGHTFULLY FUNNY TRAILERS FOR NEW COMEDIES I HATE KIDS WITH TOM EVERETT SCOTT AND MY BIG GAY ITALIAN WEDDING FROM ITALY! 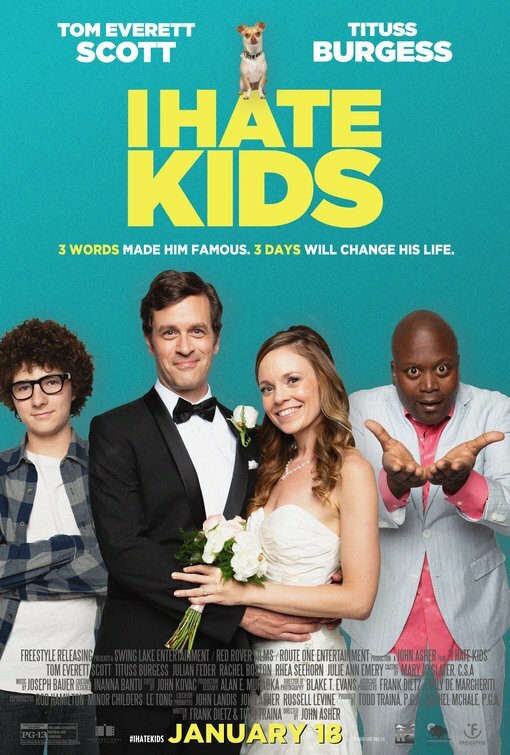 HATE KIDS is out January 18th starring Tom Everett Scott as Nick Pearson, a life long bachelor who is finally settling down. On the brink of his wedding he is surprised to find he has a 13 year old son who has come to find his him through the help of a psychic. 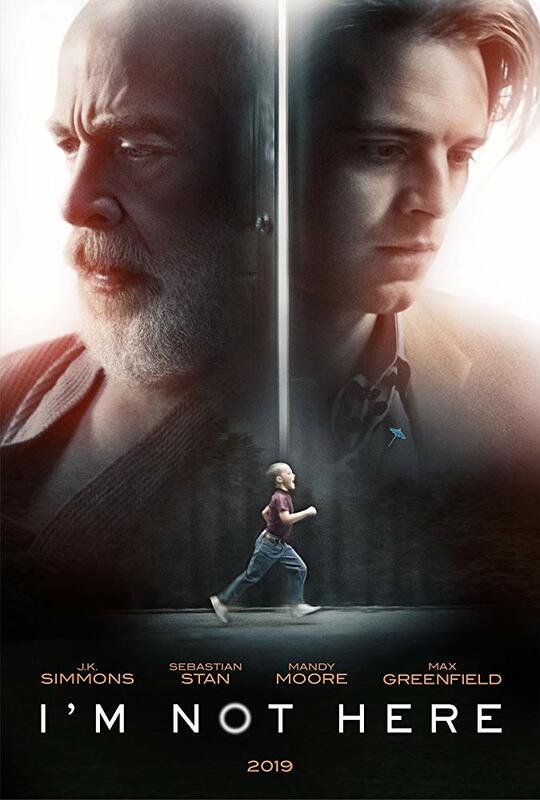 The problem is Nick can't stand kids and would happily send the boy back to live with his biological mother, except that no one has any clue who that might be. 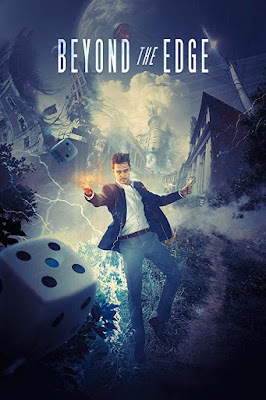 Having nowhere to turn Nick must hit the road with the boy and the neurotic, inept psychic to track down dozens of his disgraced ex-flings to whom he must ask the awkward question - with very mixed results. 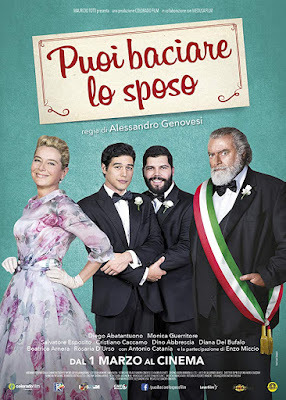 We also have another pending wedding over in Italy in their hit comedy MY BIG GAY ITALIAN WEDDING (Puoi baciare lo sposo) which already played in their cinemas earlier this year. In this merry movie of matrimony, happily engaged Antonio (Cristiano Caccamo) brings his fiancé Paulo (Salvatore Esposito) to the exquisite old Italian village of his birth to meet his headstrong parents and reveal his sexuality, setting out on a quest to make a city founded on religious tradition understand that love is love.Check out the delightful trailer below for the movie which will hit some European countries this January (Germany for example). CAN YOU GUESS THE CELEBRITY HIDDEN BEHIND THE MASK? 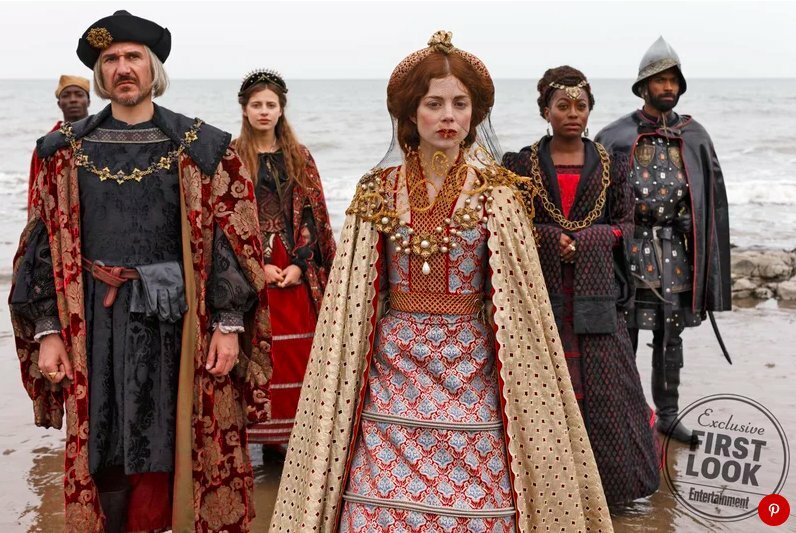 The show will have ten episodes! 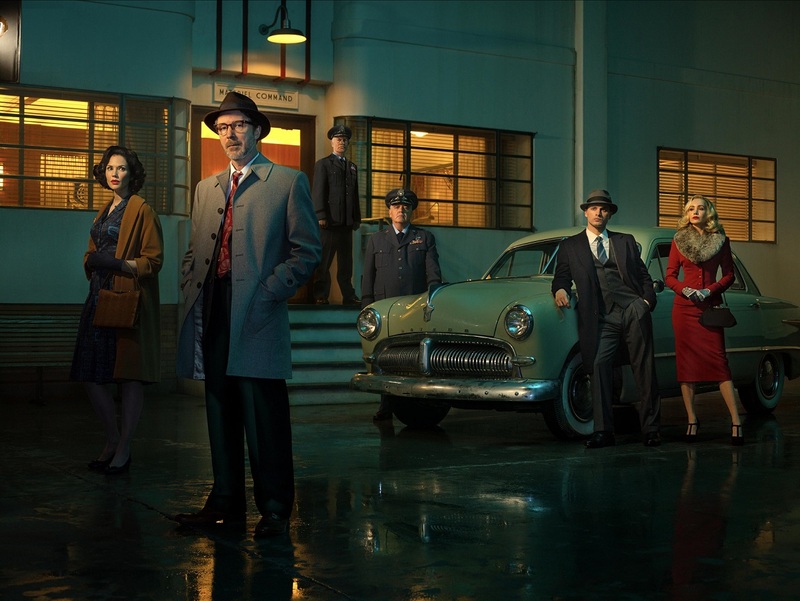 start on Fox January 2nd bringing glamour, fun and suspense to very opening of the new year! 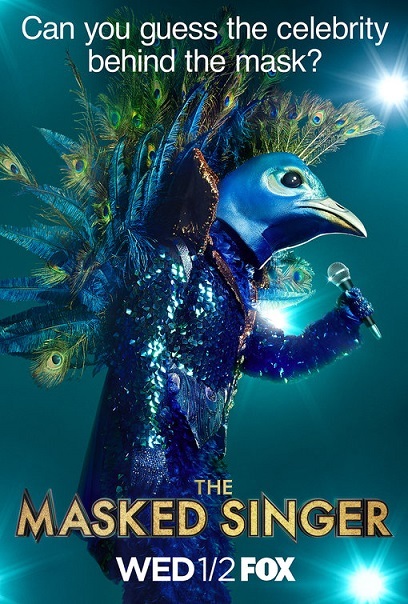 is a singing competition guessing game based on the Korean format King of Mask Singer which broke all broadcasting records in Asia becoming an instant phenomenon. 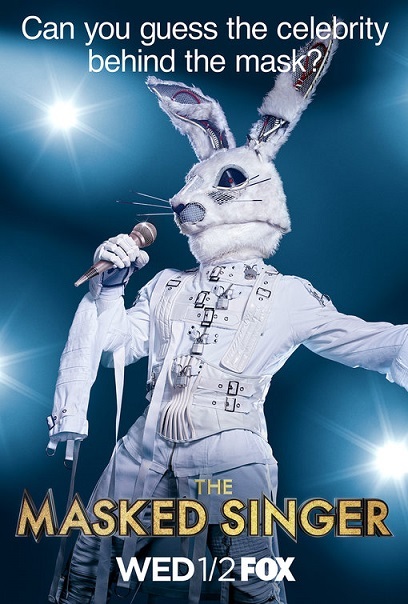 The performers are celebrities wearing elaborate head to toe costumes to conceal their identities from the host, panellists, audience, and other contestants. 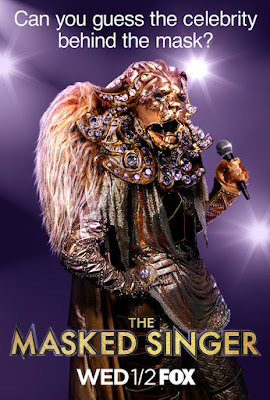 Twelve celebrities appear on the show with one singer eliminated each week and unmasked. Small hints are given to help viewer play and guess along. The "who-sung-it" is hosted by Nick Cannon and features a star studded detective playing panel: world's most beloved music competitions judge and pop super star Nicole Scherzinger alongside Ken Jeong, Jenny McCarthy and Robin Thicke. 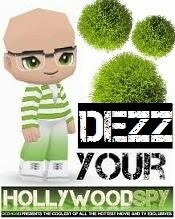 The competitors are all "household names" and have a combined 65 Grammy nominations, 16 multi Platinum albums, 16 Emmy nominations, 9 Broadway shows, 4 Super Bowl titles, and 4 stars on the Hollywood Walk of Fame. 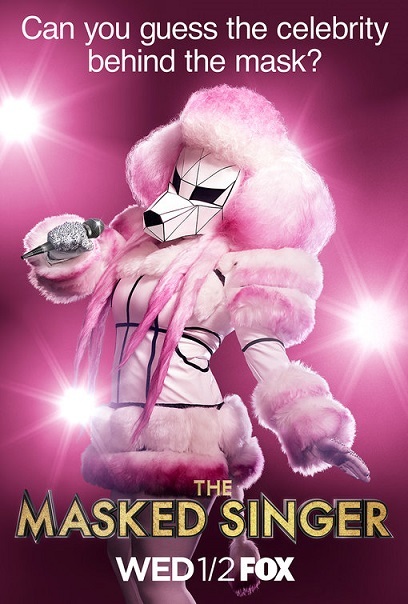 Who do you think we will see on The Masked Singer when it premieres on January 2 on Fox? 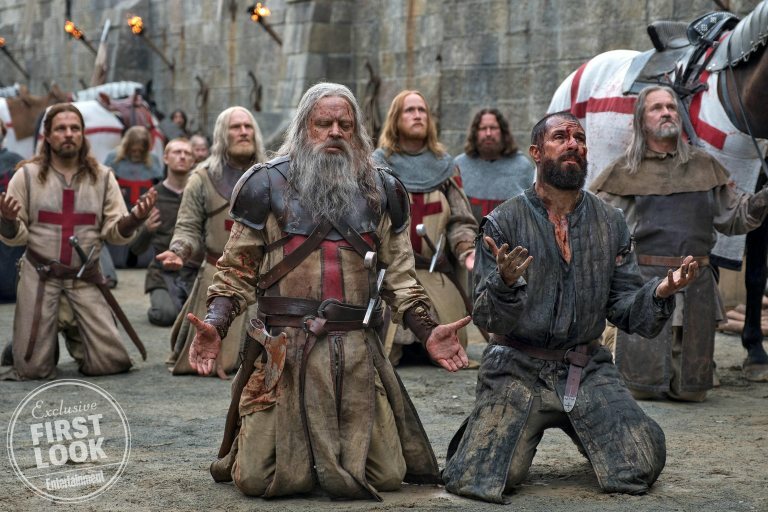 French king by impregnating his adulteress wife the queen of Navarre, and also Mark Hamill who joins the cast as Talus, a wise warrior responsible for training new initiates of the Templars. The second season will air next June! 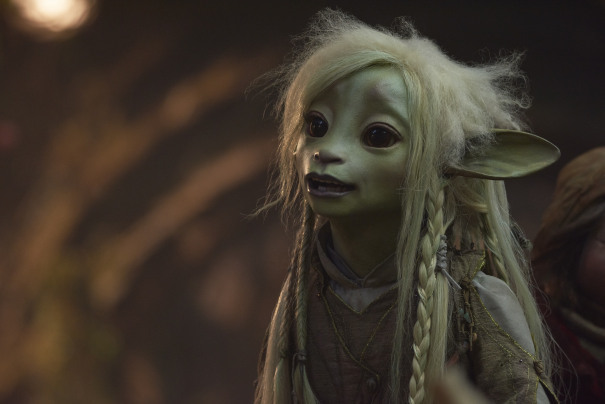 New photo reveals Landry and Talus in grave danger! 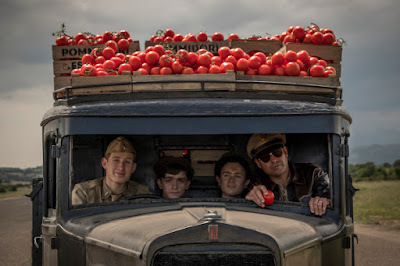 been seen before. 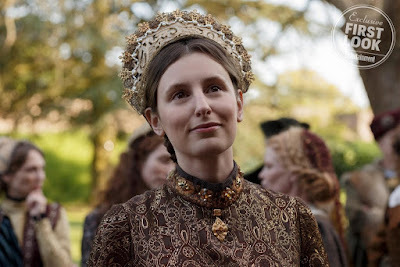 Tom Forbes joins the cast as Prince Louis of France, Clementine Nicholson as his wife Princess of Burgundy, Genevieve Gaunt is his sister princess Isabella of France. 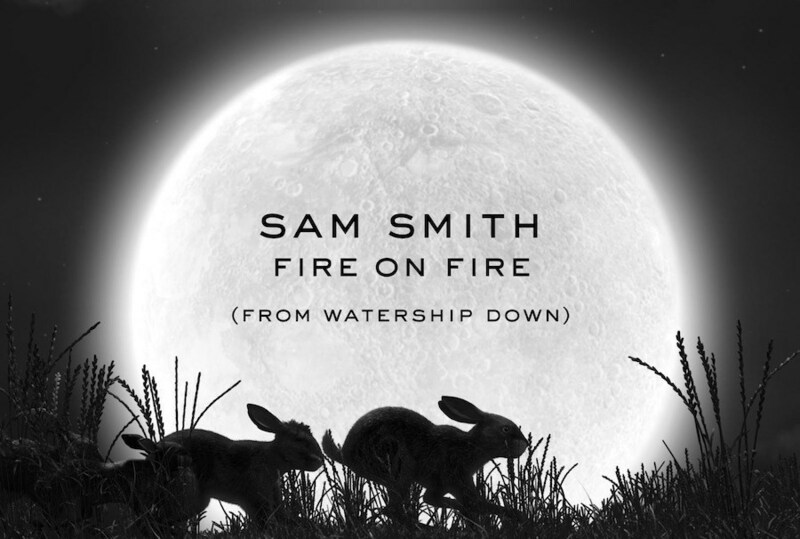 You can also check out gorgeous song Fire on Fire by Sam Smith from BBC's animated series WATERSHIP DOWN which is airing this weekend following a warren of rabbits in danger from evil humans. 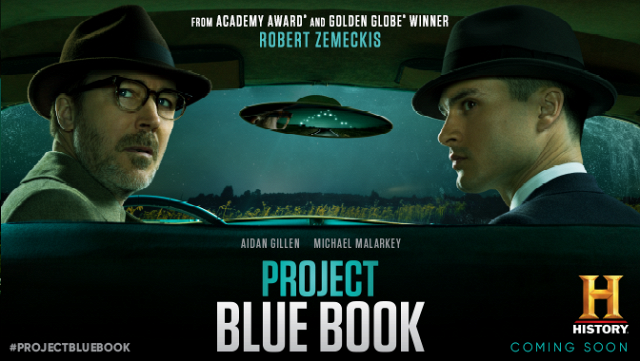 Sam Smith has written the haunting song with Steve Mac and recorded it with BBC's Concert Orchestra. renewed their super popular historical saga THE LAST KINGDOM for the fourth season (I've heard rumours, but don't tell anyone, that they've actually secretly ordered the fifth season as well)! And you know what this means: you watched the third season, which is currently airing on Netflix, in great numbers! 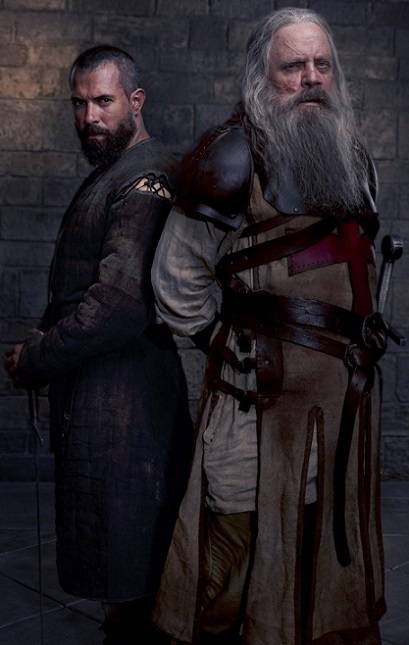 not much peace for the courageous 10th century knight who still believes in his motto Destiny Is All! 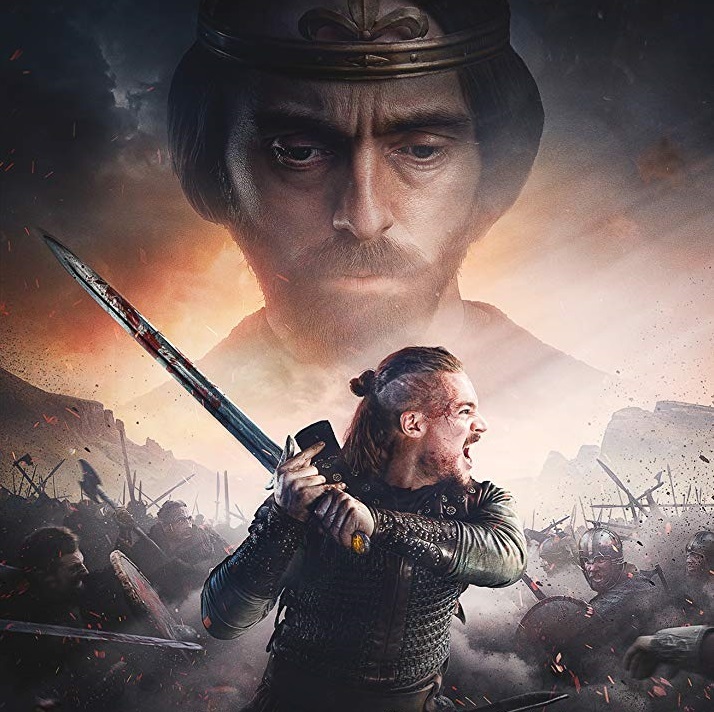 Will he finally win his father's land of Bebbanburg and become the lord of his own kingdom? 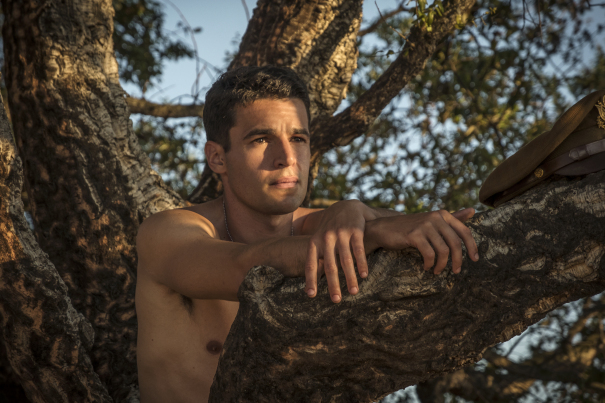 Will he find yet another wife? 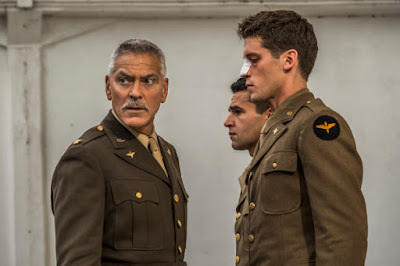 Another exclusive sneak peak into next year's productions we are getting this pre festive week are the first photos from new historical series CATCH 22 coming from George Clooney. 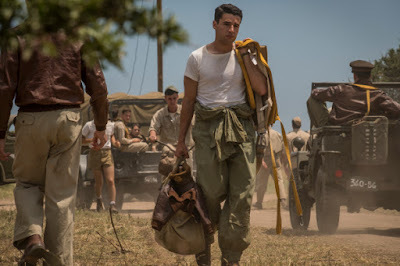 Also starring Christopher Abbott, Kyle Chandler, Hugh Laurie as Major de Coverley), Giancarlo Giannini, Daniel David Stewart, Rafi Gavron, Austin Stowell, Graham Patrick Martin, Gerran Howell, Jon Rudnitsky, Kevin J. O’Connor, Pico Alexander, Tessa Ferrer, Lewis Pullman, Josh Bold, Jay Paulson and Julie Ann Emery, the six episode series will air sometime next year on Hulu! based on the novel by Joseph Heller, follows the incomparable, artful dodger, Yossarian (Christopher Abbott), a US Air Force bombardier in World War II who is furious because thousands of peoplehe has never met are trying to kill him. 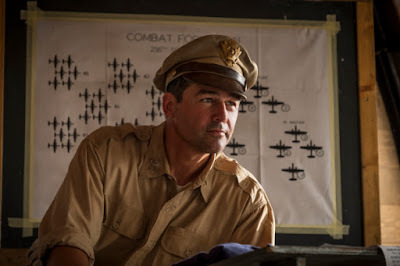 But his real problem is not the enemy, but rather his own army which keeps increasing the number of missions the men must fly to complete their service. 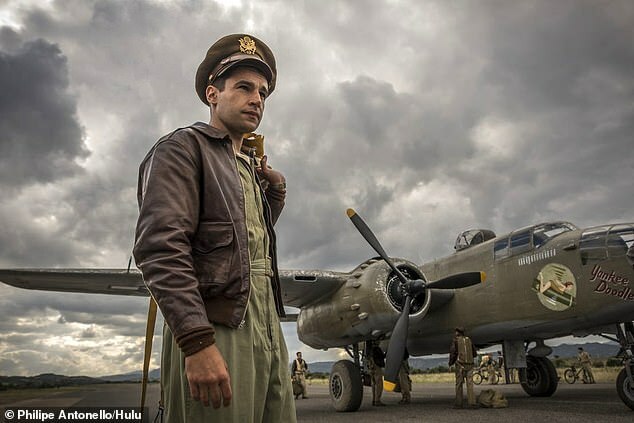 Yet if Yossarian makes any attempt to avoid his military assignments, he’ll be in violation of Catch-22, a hilariously sinister bureaucratic rule which specifies that a concern for one’s own safety in the face of dangers which are real and immediate is the process of a rational mind; a man is considered insane if he willingly continues to fly dangerous combat missions, but a request to be removed from duty is evidence of sanity and therefore makes him ineligible to be relieved from duty. Hope we get a trailer soon! 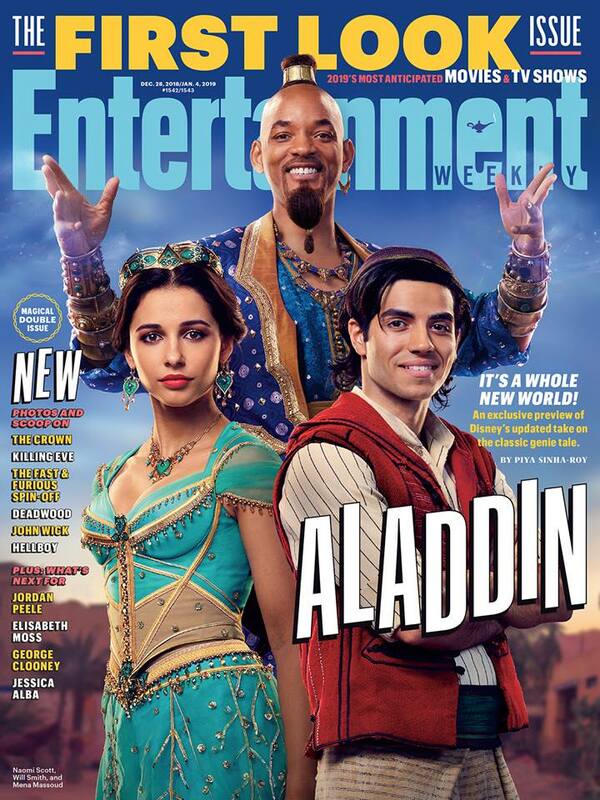 ARRIVE FROM EW AND DISNEY! 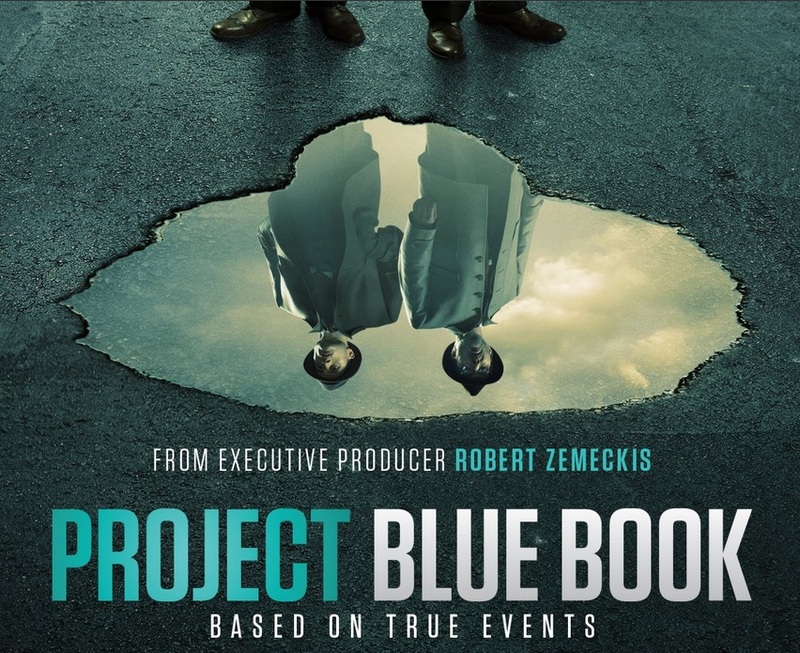 Guy Ritchie is, sadly, directing this one! 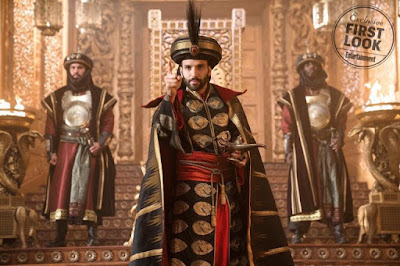 Super hunky Marwan Kenzari is evil Vizier Jafar! 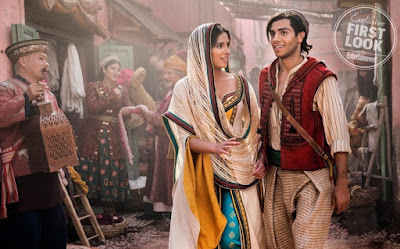 by composer Alan Menken with lyrics from The Greatest Showman songwriters Benj Pasek and Justin Paul! 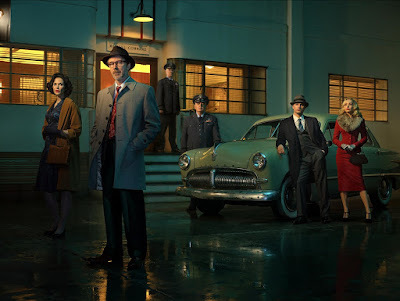 THE REST OF THE CAST! 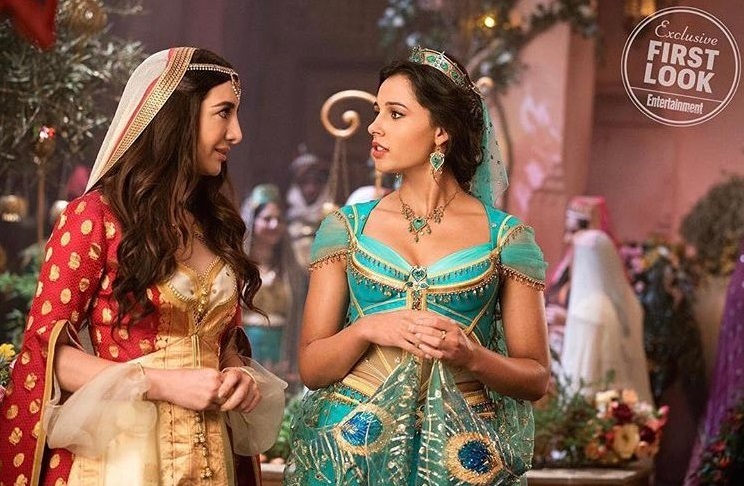 Nasim Pedrad plays Jasmine's handmaiden Dalia! Sultan's (played by Navid Negahban) evil Grand Vizier and deceptive sorcerer Jafar who needs the magical lamp for his own nefarious reasons! 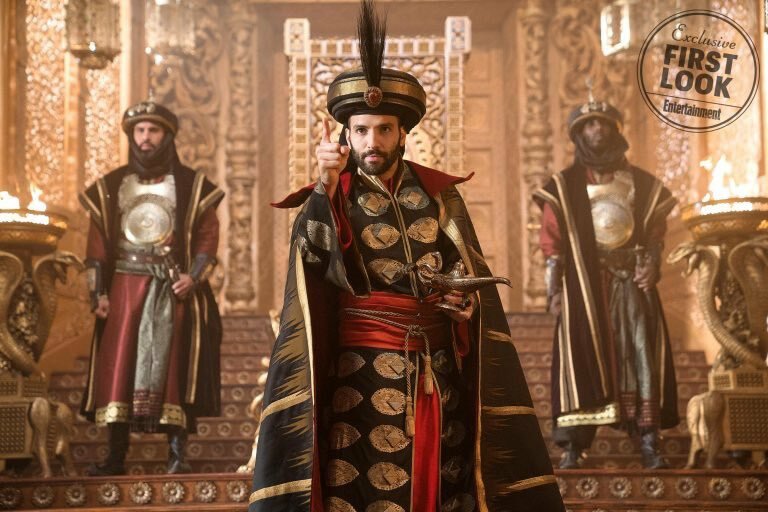 Numan Acar stars as Hakim, Jafar's right-hand man and head of the palace guards. Check out the trailer released earlier this year! 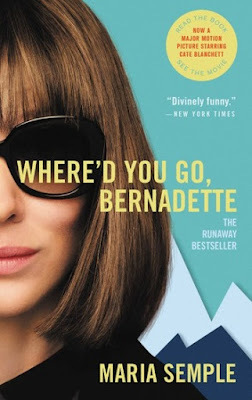 FUNNY QUIRKY TRAILER FOR WHERE'D YOU GO, BERNADETTE COMEDY DRAMA WITH CATE BLANCHETT, BILLY CRUDUP, KRISTEN WIIG! Bernadette will disappear March 22nd! Queen of metamorphosis, Cate Blanchett changes her looks again! 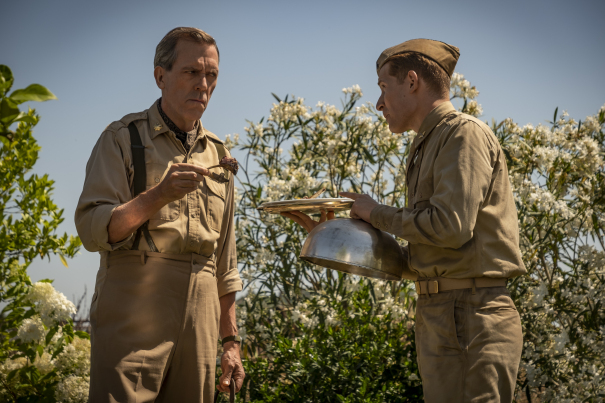 Wiig playing their nosy neighbour Audrey, the cast also includes Lawrence Fishburne, Judy Greer, James Urbaniak, and Troian Bellisario! 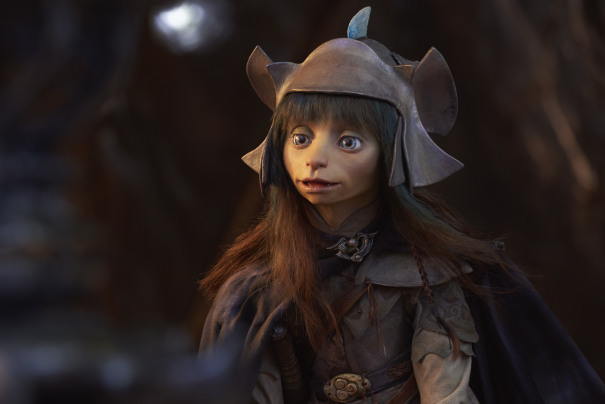 DARK CRYSTAL: AGE OF RESISTANCE PHOTOS & CAST REVEALED WITH TARON EGERTON, HELENA BONHAM CARTER, THEO JAMES, MARK STRONG! 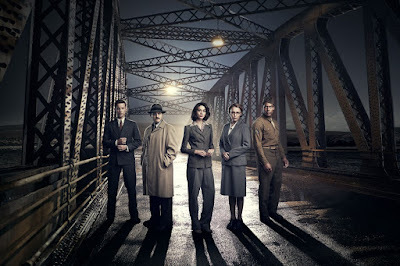 1ST TRAITORS CHANNEL 4 EPIC SERIES PHOTO WITH KEELEY HAWES, LUKE TREADAVAY! 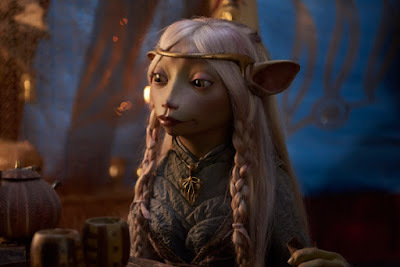 Brea will get her voice from Anya Taylor Joy! 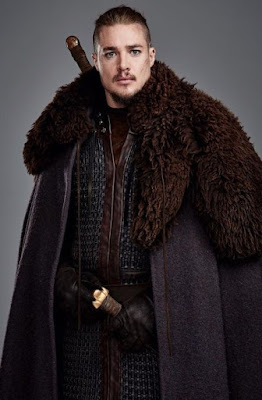 heroes Rian, Brea, and Deet while Helena Bonham Carter, Eddie Izzard, Toby Jones, Mark Strong, Theo James, Alicia Vikander, Natalie Dormer, Andy Samber, Mark Hamill and Jason Isaacs are also in the cast. 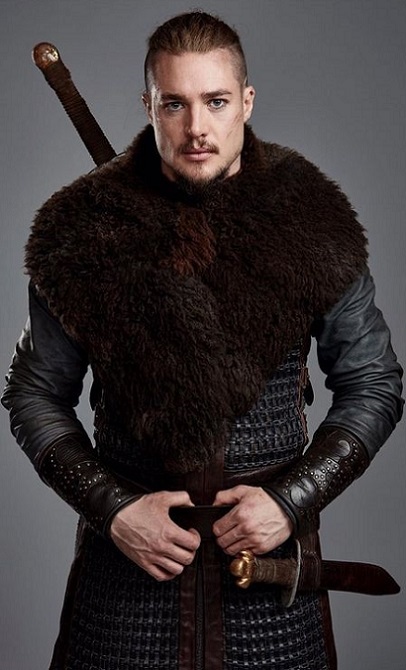 Taron Egerton will lend his voice to Gefling Rian! Deet will get her voice from Nathalie Emmanuel! uncover the horrific truth behind the power of the Skeksis, an adventure unfolds as the fires of rebellion are lit and an epic battle for the planet begins. 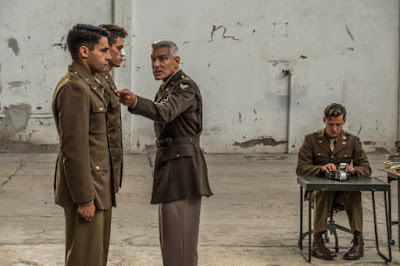 Traitors will air on Channel 4 in UK and Netflix around the world! 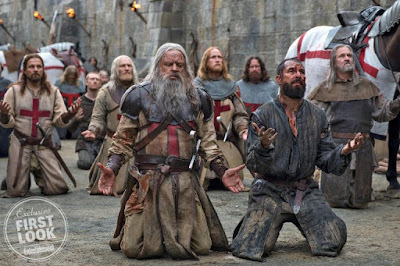 own country. 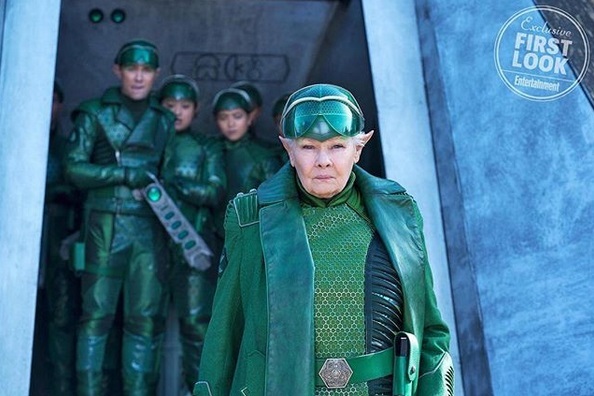 Her task? 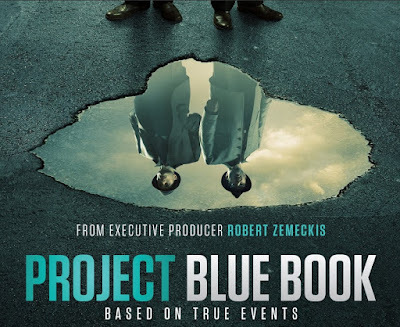 To uncover a Russian agent in the heart of the British Government. Emma Appleton, Keeley Hawes, Michael Stuhlbarg, Luke Treadaway, Stephen Campbell Moore and Matt Lauria lead the cast!